Most of our readers know that The Twilight Saga just isn't our cup of tea. Of course, we're well aware there are some of you who actually enjoy this supernatural romance series while others just soak in every single movie out there no matter how good or bad it might be. So when it comes to the adaptations of Stepahnie Meyer's best-selling novels, we usually only cover the really big stories to keep those readers satisfied. Thus, today we have two teaser posters for Breaking Dawn: Part I, the first half of the two-part finale. They look like grocery store romance novel covers, but at least there's a sparkly wedding ring. At least this franchise is consistent in its shittiness. This flick is going to make MEGA-BUCKS! It has its place with teen girls and there are worse things to get into, but damn I can't till this series is over and done. I know everyone has a right to an opinion , it's all good what a lot of people don't get is these movies are made for a certain group of people . You dont't have to watch them because it' s obvious they are not made for you .It's like kiddie movie they are for kids , these are for teens so no need to bash them , let them enjoy it . Really they are not that bad I've seen worse movies!!! I have to disagree, the messages in the Twilight films are awful and especially because the target audience are young, impressionable girls. New Moon = if you get dumped, try and hurt yourself to bring on a delusion of your ex, find another man to make you feel better, abandon all your friends, only picking them back up when it suits you. Eclipse = it's okay to cheat on your partner if it's to stop a friend (you've been stringing along for years) leaving your life, it's okay if a man FORCES himself on you because he just loves you, obviously. 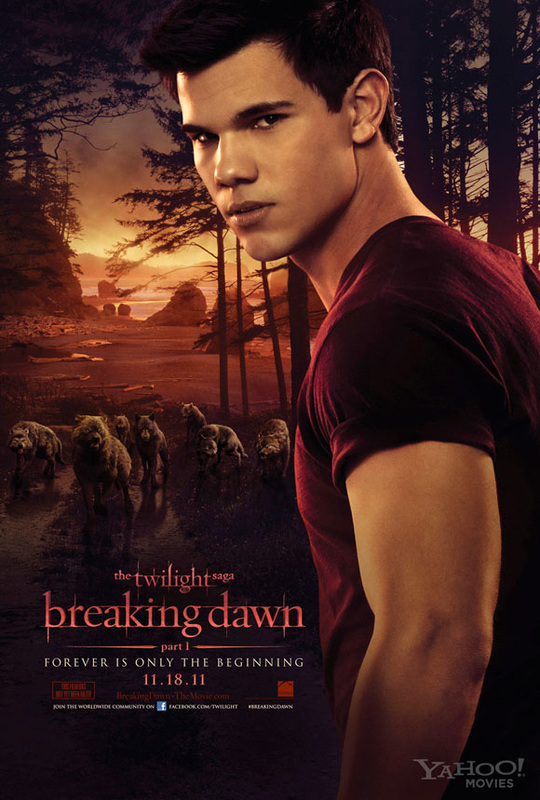 Breaking Dawn is the worst though for messages - JACOB FALLS IN LOVE WITH BELLAS BABY. Nuff said. Super psyched, can't wait looks a big bag of awesome finger banging. I don't understand why these movies are worse than crappy superhero movies like Green Lantern.. Oh wait, these are for girls/women, yuck! I guess we should at least be thankful that they're wearing shirts this time around. I have read the books, and every single time dissapointed when watching the movie, until I saw Breaking Dawn.